The Amazon Echo Show might be getting all the headlines, but it's not the only show in town. 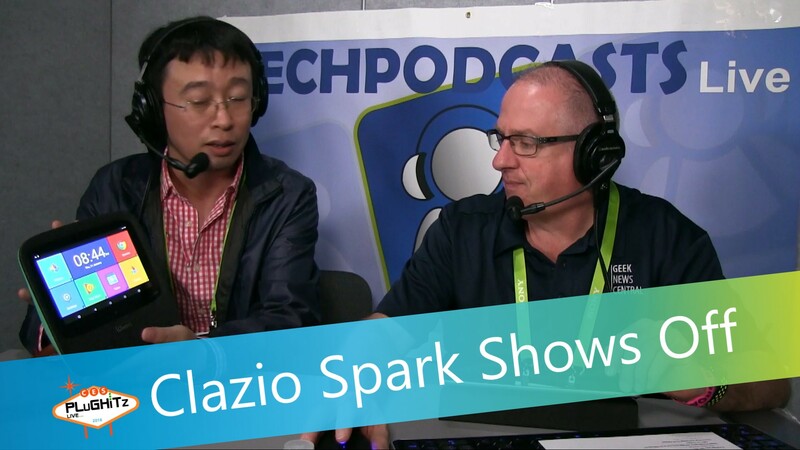 Here we have the Clazio Spark, the most powerful smart speaker on the market - it's a mini-media center with both Amazon Alexa and Google Assistant. Todd and Dake discuss getting the right color for the rear of the device. Previously known as Clarity, the Clazio Spark is an all-in-one smart speaker that combines a 7" Android Nougat tablet with a professionally developed speaker and both Amazon Alexa and Google Assistant voice services. The HD screen (1920 x 1200) is set into a retro-modern design and, when combined with a 4K HDMI out, creates a lovely media center that can play music, show films and make video calls. If you can do it with an Android tablet, you can do it on the Spark, with the additional benefit of Alexa. The Spark isn't tied to a power cable, as the 4,800 mAh battery gives around 5 hours of music and about half that for video. There's a 5 MP front facing camera for video calls and a microSD card slot for more storage. Is there anything the Spark can't do? After successfully crowdfunding on Indiegogo in early 2017, the Spark is preparing to go into retail with an expected price of $269. You can still contribute to the Indiegogo campaign with "pre-orders" to get some good deals but the usual caveats regarding crowdfunding apply.